Yes the image here is for the so called Calbee brand, but like 90% of the front packaging here is the same. This was picked up on a different trip to the Asian Food store from the one where I got the infamous Lobster flavor. I bought it not even know what flavor it was. I had to google search a bit for this one to find an image for you of the bag and to even know what I was getting my taste buds into before opening the bag. 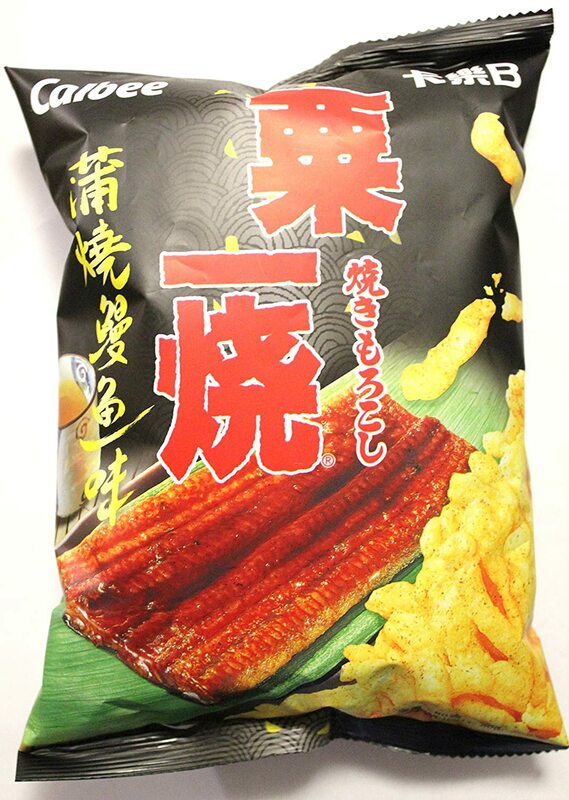 I have never tried Eel Kabayaki before or even just Eel and never heard of it until I tried this flavor out. Are we just getting the sauce here for Eel Kabayaki or are we getting Eel flavor as well. I can't tell. I can fully say this had less punch of flavor than lobster, but was nicely flavored. The cheetos like item here was nice and crunchy, light in color, and certainly had some sort of seasoning on it you can plainly see. I am going to give this item a medium sized thumbs up at least. It fully beat my expectations for this product.